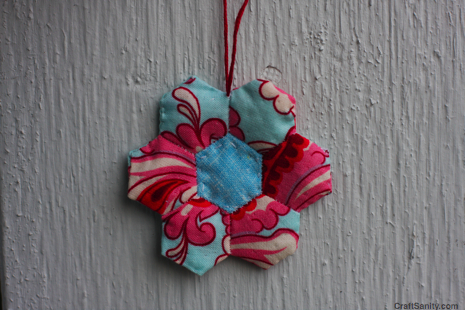 The latest issue of Petite Purls went live today and includes a couple of my paper-pieced ornament projects. There’s still time to make the flower ornament pictured above, and a related festive wreath ornament, too. So head over to Petite Purls for the directions. This issue is packed with great patterns including fun crochet “Foamies” by Carey Huffman and a cute sewing pattern for a “Sweet Panda” by Maritza Soto. And, dear knitters, there is plenty in this issues for you, too. I love this darling earflap hat pattern by Kate Oates and these lacy tights for little girls (so fancy!) by Marina Hayes. And don’t miss this super cute Little Red pattern by Aine Mahon. Okay, I’m going to stop and let you just go over and check out the magazine. It’s growing fast and I’m happy to be a part of it. Enjoy!